The earlier a termite problem is detected the better and faster it can be taken care of with lesser damage to the house or property. If an assessment is delayed, so is the diagnosis and the treatment of the infestation caused by these ever-hungry insects thereby increasing the amount of damage caused by their eating habits. Having an annual pest inspection is a must as suggested by the CSIRO. Having regular examinations and pre-purchase timber pest inspections are a must for every homeowner in Melbourne. Termite damage does not fall within the luxuries of being covered by insurance for every homeowner which is why it must be prevented in the first place to avoid tearing that extra hole in the pocket. 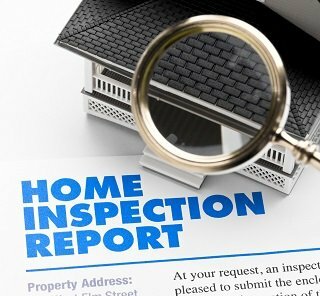 Such inspections help you seek out potential threats of any such problem, look for damage that can prove harmful to your property in the long run and maintain the protection against these pesky creatures for your property. They are also necessary as these insects are known for their skill to invade homes without being noticed for a very long time. It also helps analyze the species of this forever chomping insect to better diagnose the situation. The two types include Standard termite and pre-purchase. These are for home or property owners in Melbourne that need a regular checking to ensure that termites are not eating away at their home with their ignorance about the same. 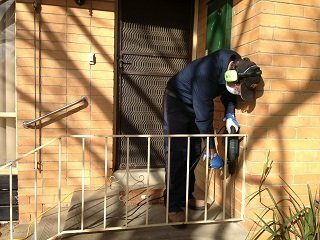 Our inspections for these ever eating creatures abide by the Australian standards 3660. 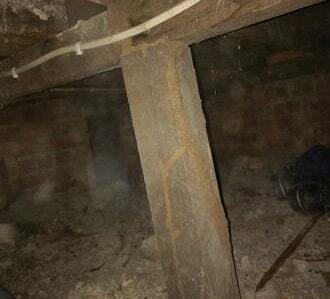 We also look for damaged parts of the property that can be threatened by them in the future by being weak. Our main motto is to ensure there is no termite infestation and keep your property 100 % safe and protected from these insects. Just like a regular doctor's check-up, your home too needs a regular examination. Our work of examination is thorough to ensure that we aren't leaving any parts of your home out. We make it a point to give you're a detailed report and explain the situation to you after an examination while discussing resolutions or even just some prevention tips as per your requirement. These are for those home buyers that are trying to invest in a piece of property or a home after ensuring that it is worth their money. This includes making sure that the property is not infested with pests or close to being so. It even finds out any damage that might have been caused by pest infestations in the past. Investing in a house or property is always one of those biggest investments that no home buyer wants to go wrong on, so to be much more confident of your decision opt for this kind of an inspection that provides you with a detailed report and proof of our analysis. What Do We Look For During The Examination? What parts of the property do we inspect? Outdoor constructed areas like garages and carports. Walls and fences under possession by the property. Driveways or pathways of the property. It is important to know the real status of your property for basic management and maintenance to ensure that you do not face any potential threats to your investment in a home. This report helps analyze the current status to better equip you with the best solutions for any termite problem. The report gives your detailed information of the findings of the inspection including details of the species of timber pests, how bad the damage has gotten, the weakness of the protection level of your home, what the best solutions are, the best timber pest management plans for your property's requirements, advice on existing termite control plans etc. What is the next step following the report? Based on the findings of the inspection and the report, we will help you achieve the best plan for your property from prevention to cure and maintenance. Keep wood, timber, and mulch stored away from your home and not within close proximity. Ensure all timber is termite resistant and treated. Avoid storing cardboard boxes, firewood or waste timber. Avoid storing anything in the subfloor as it could retain moisture and turn into food for these pests. Refrain from storing any timber or other items against the exterior walls of your home. Why choose Protech Pest Control? Our 26 years of experience in the service of Pest control and removal in Melbourne has always had us keeping you and your family as our top priority which is why we ensure that all our technicians are certified and licensed to perform pest removal and control procedures and treatments. We also ensure we use the best quality products for you that will rid you of pest problems while ensuring and guaranteeing your family's safety and wellness of health. Our treatments are environment-friendly and we believe in providing you with the best resolution for your home for 100% customer satisfaction.